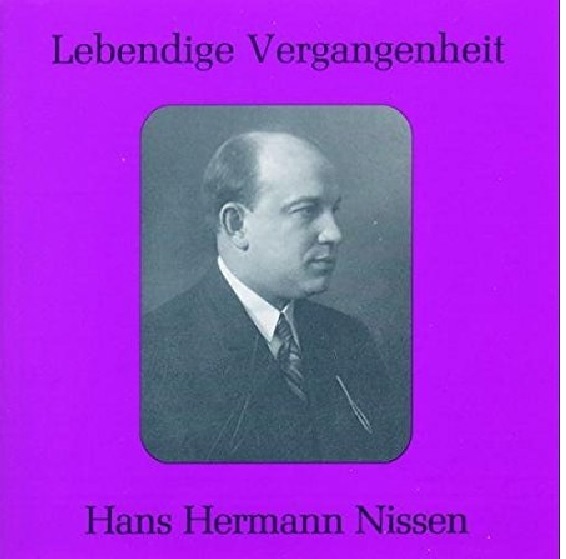 “Hans-Hermann Nissen is the only bass-baritone comparable to Friedrich Schorr. Why did the recording companies almost neglect him? 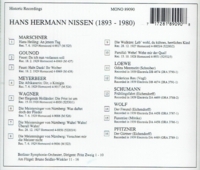 There might be two reasons - the first being that the singer himself valued a stage career more than a reputation as a recording artist, and secondly the important fact that at the time there were a lot of German baritones and the recording companies had already engaged their popular favorites. Contemporaries were Wilhelm Rode, Rudolf Bockelmann, Josef Herrmann, Hans Hotter, Paul Schöffler and Ferdinand Frantz! This is a proud gallery, but Nissen and Schorr outshined them all. His is a warm voice of great beauty, superb musical phrasing and he sings with a perfect legato. 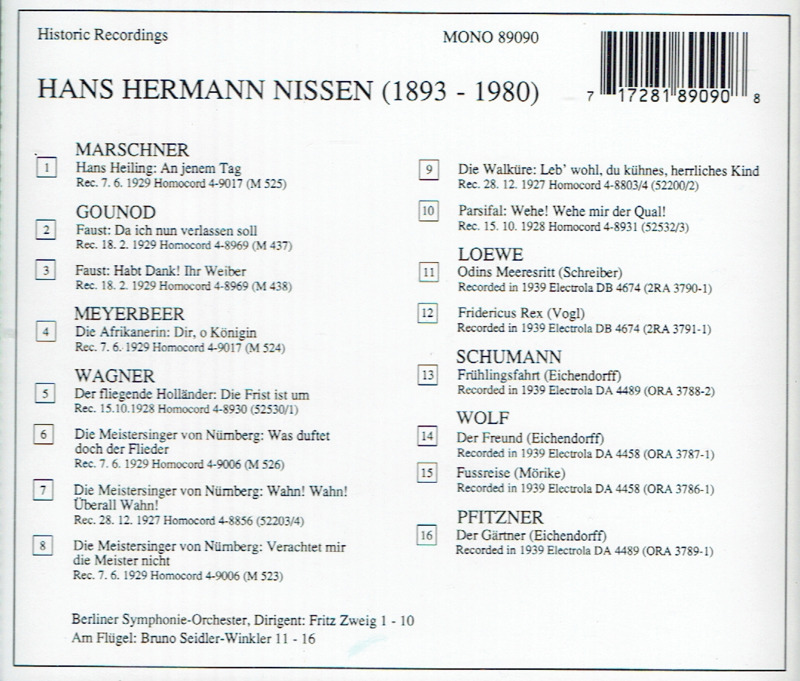 His recordings are irreplaceable documents of an exemplary refined style in Wagner’s music. In my opinion, he is unsurpassed in Amfortas’ lament. He is a superb but underrated singer.